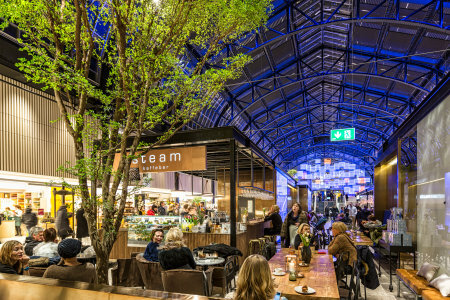 A particularly moody and festive light is one of the most important attractions for visitors of outdoor markets. The operators of the various stands often rely on outdoor light chains for lamps with an E27 socket. These professional lighting chains are also used for festive street lighting in parks, in buildings or in private gardens. They score with IP 65 water protection, robustness and flexible application possibilities. But only the right lamps bring the outdoor light chains as decorative lighting to life. Energy-efficient LED lamps which are also suitable for outdoor use and emit a high-quality light are the best choice. With the PARATHOM Retrofit product line LEDVANCE offers up-to-date outdoor LED lamps which meet these requirements and have also been produced with the innovative and stylish LED "filament" technology.